Crockett Foundation and Humane Society of Charlotte Help Veterans | Crockett Foundation - Tag In & Help Out! The Crockett Foundation pays veterinary bills and food costs of pets and service dogs belonging to US Military Veterans. To reach Veterans in need of this assistance Debbie Mrozinski, Crockett Foundation President, connects with organizations such as the Humane Society of Charlotte. We interviewed Caitlin Donley, their Donor Relations Manager, about achieving mutual goals. Question: What is the mission of your business? Answer: The mission of the Humane Society of Charlotte is to be a community resource committed to improving the lives of companion animals through adoption, spay/neuter and education. How has the Crockett Foundation helped you reach your goals? Answer: Our goal is to help all animals stay in their homes through assistance, and to help those who come into the system find new homes. Through the Crockett Foundation we’ve been able to help Veterans in the community who have been reaching out to us about their pets. The Crockett Foundation helps us reach our mission by helping owners, in this case Vets, keep their animals so they need not surrender them to our shelter. That is a win-win for us all. Question: How did you get involved with the Crockett Foundation’s mission to help Veterans with their veterinary medical bills? Answer: We were contacted by Debbie as she was finding ways to connect with Veterans. When we heard about the work she is doing we were so grateful she reached out to us and to hear how the community is benefiting by what the Crockett Foundation is doing. Question: Do you work directly with organizations that train service dogs? Answer: We’ve been approached and have helped to place dogs into service positions but we do not have a program that does this work and service. Our population of animals changes every day here at the Humane Society. We don’t spend a great deal of time with the animals because our goal is to place them into homes. We are stretched to the max and can only do so much at a time. We’re very pleased to work with other organizations dedicated to placement of service dogs when possible. 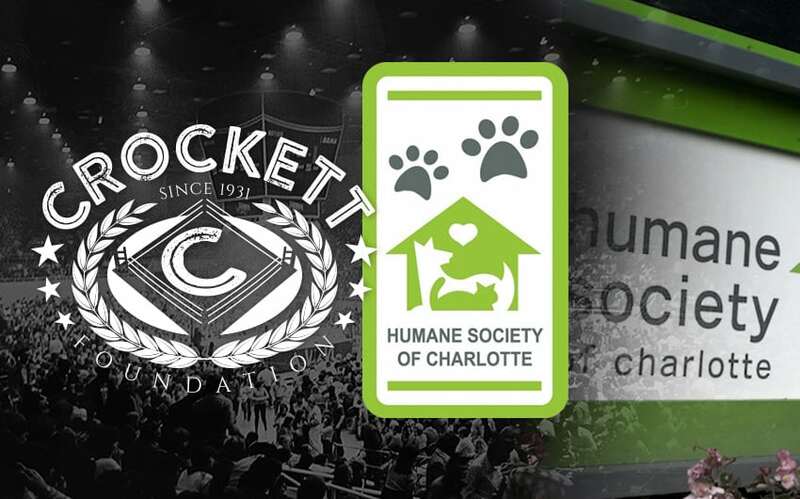 Question: How does the Crockett Foundation tie in to helping the Humane Society of Charlotte serve the community? Answer: Most human service organizations are focusing on the human – while we at the Humane Society of Charlotte are trying to educate the public that the human and animal bond is also very important. Debbie’s organization is in the forefront of that effort. They have identified this critical and unique community need. We are so thrilled to be working with the Crockett Foundation to help our community members keep those human and animal bonds intact through emergency assistance when needed. Question: Are there numbers you can share regarding how the Humane Society of Charlotte has been helpful to Veterans? Answer: We have been able to help 6 Veterans with emergency assistance, and I believe through adoption we have served 7 Veterans who self-disclosed their Veteran status. Question: What is it like to work with the Crockett Foundation on their mission to serve the Veteran community? Answer: We are very pleased to be working with the Crockett Foundation in the way that we have been. That’s really been a pleasure – and rewarding because we have been able to help individuals and their pets stay together in their homes. Here at the Humane Society of Charlotte, because Veterans do not necessarily self-disclose that they are Veterans, we’re not necessarily aware of Veterans who could benefit from something we could do for them. We feel very good about working with the Crockett Foundation in this helpful way. Question: How does it come to your attention that particular Veterans are in need of assistance? Answer: What we have found through our work is that individuals are struggling to be able to stay in their homes, and Veterans have reached out to us for emergency assistance to meet the needs of their pets. It’s been a win win on both parts, allowing us to help animals medically and also to enable them to stay in loving homes – keeping them from becoming residents here in the shelter. Question: Do you know of other Veterans who would enjoy having a pet if they could afford the veterinary costs more easily? Answer: Veterans don’t always self-disclose to us that they are Veterans, so it is a challenge to know how many Veterans we might be poised to help at any given time. We do look forward to continuing to match dogs with Veterans who come in to adopt, and to working with organizations such as the Crockett Foundation on paying vet bills, etc. That is a wonderful collaboration we are involved in with them and we appreciate their work in the community very much. Contribute to the Crockett Foundation mission of helping Veterans have greater joy in their lives – including caring for their pets and service dogs through assistance with food costs and medical bills. Donate to the Crockett Foundation here. Know a military service member who has had to surrender a pet to a shelter before going on active duty? Are you a Veteran who would like to help re-home pets for community members in the Charlotte area? Consider volunteering with the iCare Program at the Humane Society of Charlotte.